Imagine a sermon in the form of a prayer, that consisted of only two long sentences (which is the case with the Greek). If we think of the letter to the Ephesians as a sermon, since it is a message, and there in the midst of this letter to the infant church, Paul prays. He prays for the congregations. He knows that he is unable to give them what they need in the face of struggles that lie ahead. Paul knows too, that being the church is not a self-help project. The church has to learn to rely on God, not themselves. So what exactly does Paul pray for? In the opening, Paul emphasizes the unity of humankind under God…” from whom every family in heaven and on earth takes its name” (vv. 14-15). Every means every—no one is excluded. This sums up what has been the chief argument of the first half of Ephesians, that in Christ Jews and Gentiles have been brought together to form one body, the church, which is the temple and dwelling place of God. The text connects the earthly community to the heavenly community, which we refer to as the communion of saints. Paul prays that the believers become empowered (vv.16-17), he then describes the purpose of the empowerment (v. 18) and finally prays that they may comprehend the vastness of Christ’s love that transforms God’s people by the “fullness of God” (v. 19). First of all, Paul prays that the Ephesians may be empowered (vv. 16-17). In other words, Paul is praying that God will work through the Holy Spirit to build up the dimensions of believers’ lives that have been redeemed through the cross of Christ. When Christ is alive in the lives of believers, they are then brought to a new awareness of the magnitude of God’s purposes for life. The “inner being” (v. 16), that Paul refers to corresponds to the heart in the following verse (v. 17). This is the true identity of the believer, which is not visible to the naked eye. However, there is a qualifier here, that God’s work of strengthening be done “according to the riches of his glory” (v. 16). This is not a new power, but something that sets us in line with God’s will of reconciliation, which is harmony, unity and peace with God and peace with one another. Next, Paul describes the purpose of the empowerment (v. 18). This petition relates to the indwelling of believers by Christ. Paul’s hope is that they will comprehend with all the saints, what God has done in the cosmos, which is revealed especially in the love of Christ. “All the saints” (v. 18) encompasses believers both local and distant. These gifts are for the whole people of God, not only for a few super-spiritual, talented ones. Paul’s final petition for the Ephesians is that they may comprehend the vastness of Christ’s love that transforms God’s people by the “fullness of God” (v. 19). This is the culmination of all prayer. Knowledge is a central attribute of believers. The knowledge of the love of Christ transcends human understanding and is immeasurable. Paul is praying and trying to come up with descriptions of the indescribable. Categories of power and space blend into one another as he attempts to describe what defies description. Conceptions overlap, metaphors mix and thoughts pile up. He prays not only that the Ephesians will comprehend, but that what they comprehend is the “breadth and length and height and depth” of what? Can we better understand God in such terms? It’s so much more than that which we can get our mind around. Perhaps this is a descriptor of the love of God, which is really ironic since that love is described as surpassing knowledge. Divine love is the basis for living. Earlier, Paul prays of being “root and grounded in love” (v. 17). Christ’s indwelling will allow the Ephesians to realize that love which is superior and unknowable through mere intellectual pursuit. We cannot think our way into understanding God’s love since it is only revealed as we allow Christ to dwell within us, as we surrender to Christ, allowing the love of Christ to transform us. This does not mean that we leave our brains behind as we enter the church, but rather realizing, humbly, that there are things we will never understand. God is God and we are not. Paul’s so-called measurements could also refer to “being filled with all the fullness of God” (v. 19). The focus on inward character in our passage is designed to produce concrete expressions of love in the lives of believers. And I have to say that I believe that this congregation excels at such expressions of love. However, being still long enough to allow God to work on our inner life, to be so filled with Christ, is the rub. It can be difficult to step back and let God work. God is the One who fills believers with God’s fullness. That verb is in the passive voice indicating the work is being done by someone else, God. Paul is praying that his people experience the power of God to the fullest. This is among the strongest expressions of desire for human union with God in all of the New Testament. God wants to have an intimate, connected relationship with all of us. Paul closes with a benediction or doxology. What is being requested in prayer naturally leads to the proclamation of God’s dynamic power. Paul has been building up metaphor after metaphor and now the final crescendo! 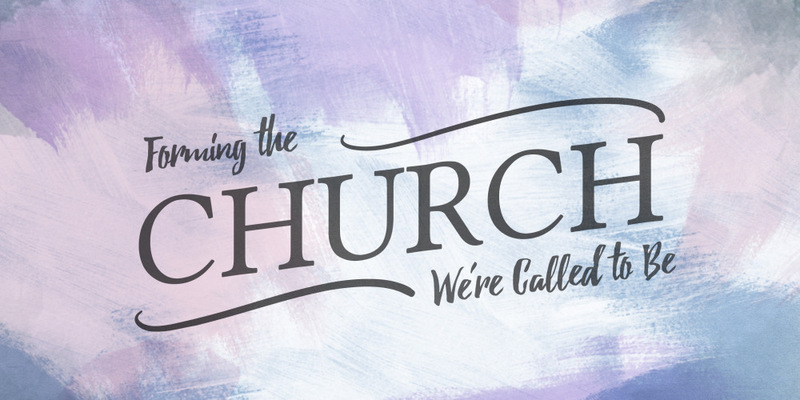 God calls us to be Christ’s church. God works in our lives so that we can become all God wants us to be. God does it! It is one thing to pray, but this dynamic doxology conveys assurance that Paul’s prayers for the Ephesians will be answered because God can accomplish in us “abundantly far more than all we can ask or imagine” (v. 20). This phrase summarizes the petition and the prayer itself. Such a benediction not only focuses on God’s work in us but reminds us of the ultimate goal of such work: the glory of God. Paul’s prayer responds to the setting in which the Ephesian believers are feeling strongly threatened by external forces, including malevolent spiritual powers. Paul’s prayer offers the strongest possible reassurance against any cosmic or societal threat (MacDonald). We were made God’s own in holy baptism. God calls us saints, holy ones, even when we have messed up and aren’t living the way we think we should. You probably know people who don’t even bother with the church because they believe they’re too far gone, thinking that God certainly wouldn’t want them. No matter what, we are God’s and we are desperately loved. This is a message everyone needs to hear. We had a couple of friends over Friday night. As we discussed how best to share our faith, the discussion turned to what can be described as “friendship evangelism.” What I do not mean by this is looking at friends as objects of conversion. However, in the course of a conversation, if we listen carefully, God will provide the opportunity, no matter how small it may be, to share our story of what God has done in our own lives. Because such sharing is done out of an already existing relationship, the other person is more likely to respond positively. Everything changes, but how do we ensure our own experience of this? Slow down, even if it’s just a few minutes each day. Think about your day. Where did you see God at work? Listen to that small voice of God whispering to you.